Narrative theorists managed to dilute their insights by making their work more palatable. Familiarity and ease of use comes with a cost. Making things simpler confuses something that needs a degree of complexity to be understood. Stories exist as analogies to our minds ability to solve problems. While those minds might be simple, the tools to examine them shouldn’t. A recent analysis of the Peter Sellers’ classic 1981 film Being There unraveled a stumbling block. After a semeseter and a half of learning Dramatica, the students in my Story Analysis at CalArts had become quite proficient in identifying the Influence Character. Regardless of the movie—Casablanca, On the Waterfront or Brokeback Mountain—they always seemed to nail this part of story structure with ease. Being There proved a little more challenging. Being There tells the story of Chance (Peter Sellers) and the profound changes his simple-mindedness brings to Washington politics. Obssessed with television and gardening, Chance unknowingly drops wisdom on those consumed by the chaos of a stifling economy. Many take comfort in his words and his calm demeanor, changing the way they think because of his influence. 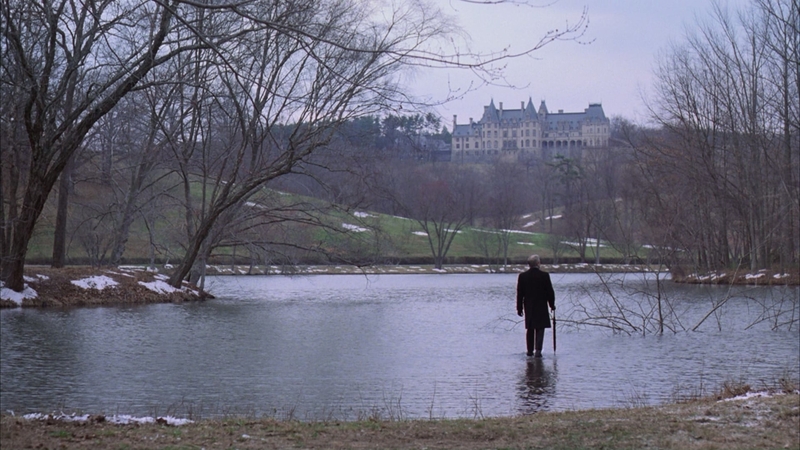 Like Forrest Gump, Being There presents a Main Character who modifies the viewpoints of those around him. This dynamic rings true for most Main Characters with a Steadfast Resolve. William Wallace in Braveheart, Hiccup in How to Train Your Dragon and Henry Fonda’s character in 12 Angry Men bring change to the world around them rather than experience significant change themselves. Yet in all these cases, the Main Characters still had a signficant relationship with another character who influenced their own point of view. Fonda had Lee Cobbb, Hiccup had his dad, and Wallace had Robert the Bruce. Each Main Character knew the impact and influence this other Influence Character had on them. Chance never had a clue. His mental condition and his obliviousness to everything around him made him a Main Character impervious to any kind of persuasion. The theory of Dramatica is clear: No Influence Character, no story. Could this be a case where the film transcends theory? Being There provides another example where the attempt to make Dramatica more palatable resulted in the theory losing a level of accuracy. The original term for Influence Character was Obstacle Character. Why Obstacle? Because this character’s primary role in a story is to act as an obstacle to the Main Character living their life blind to their own personal issues. Every Main Character comes to a story packed with some sort of justifications for their behavior. These issues, built up during a time usually referrred to as Backstory, motivate the Main Character to behave the way they do. Main Characters go on about their day not knowing why they do the things they do because this process of justification hides those problems away. If Main Characters were aware of their foibles, they would solve them. This is why you have a story. And this is why the Main Character needs an Obstacle Character. The Obstacle Character shines a light on the Main Character’s justifications and says, “Hey buddy, you’ve got some serious problems!” They stand in the way of the Main Character’s personal growth (or lack of personal growth in this case) and push or pull the Main Character into changing. Unfortunately over the past two decades, many writers confused Obstacle Character with the Objective Character role of Antagonist. You can’t blame them. Dramatica says there’s an Obstacle Character? Well of course they must mean the bad guy of the story… Not quite. The “bad guy” of the story (or Antagonist) works to prevent the successful resolution of the Story Goal for everyone. The Obstacle Character works on the Main Character’s personal issues. Sometimes the Obstacle Character can be the bad guy (like The Joker in The Dark Knight or Ra’s al Ghul in Batman), but more often than not this role splits off into its own separate character (like Samantha in her, Mud in Mud or Woody in Nebraska). In a film like Being There, the separation between bad guy and influence becomes even more complicated. The Dramatica definition of a Main Character is that character through which the audience experiences the story. We witness Being There through Chance’s eyes because we are new to this crowd of Washington players. It might be more difficult because of his mental condition, but we don’t know what Rand has planned for Chance and the idea that a car would be waiting for us on demand is presented as something new and surprising. The audience shares Chance’s perspective in spite of his affliction. Placing us in his shoes makes it difficult to empathize with them, but not impossible. The problem rests in finding who stands in opposition to our simple-minded obliviousness. In class we determined that Rand was the Influence Character. As the one person who seems to strike up a remarkable relationship with Chance, Rand seemed like the obvious choice. He also changed his Resolve, flipping from a character afraid to even talk about death to one concerned with getting his affairs in order. However he never really represented a challenge to Chance. As with most everyone else in the story, Rand interprets Chance’s point-of-view as something profound and transformative. Everyone accepts Chance’s words and embraces them with fervor. Everyone that is, except the Doctor. Dr. Allenby is the only one who sees Chance for who he really is. From the very beginning he challenges Chance and his true intentions. He may not appear in the film often, but when he does it is always in opposition to Chance’s point-of-view. This is what Influence Characters (and more accurately, Obstacle Characters) do, they challenge and bring into question the Main Character’s way of solving problems. Dr. Allenby continues to investigate and track the new arrival’s history until finally he discovers Chance’s true identity. Yet, instead of revealing this to everyone, the Doctor keeps to himself. Why? Because like other Influence Characters with a Change Resolve, he has accepted the Main Character’s way of seeing things. By stating he “understands” and keeping the truth to himself, Dr. Allenby embraces the truth of simply “being there”. For the most part the term Influence Character works. Unfortunately there are times, as in the case of Being There, where the term muddles the true role of such a character and makes analysis a difficult task. It might also reduce the motivation to write stories with dynamics similar to this one. Understanding what this character truly does within a story, and refusing to be bogged down by more approachable and “friendlier” terminology, makes it easier to write and analyze successful narrative.